I know you might not want to hear this, but there are certain kinds of preppers you really don’t want to be friends with. Now don’t get me wrong; I’m not saying all preppers are bad. A lot of them are really awesome, and are valuable assets in your prepping journey. Note: These traits may not describe you, but do you know what type of prepper YOU are? Click here to find out! This is the kind of prepper that will put you and everyone else in your group at risk. Why? Because they’re so caught up in their emotions, they could either make a split-second decision that leads you all down the wrong path, or they could blow up in anger at a moment’s notice. When SHTF you need someone that’s calm under pressure and can evaluate the various sides to a decision before choosing the path to go on. You also want someone who’s in control of their emotions, and won’t just fly off the handle when tensions are high. This is the same guy/gal who’s always asking you to hold their beer at a party. They can be very entertaining at get-togethers, but trust me – you don’t want them around in your bug out group. That’s because these kinds of preppers are often out to impress everyone and make a fool of themselves in order to do it. But when an emergency strikes, you can’t afford to wait for this guy/gal to get themselves hurt doing their crazy antics – especially if you’re trying to keep a low profile. The key here is to lay low; keep people around that are stealthy and can blend in – not ones that attempt to show off and get themselves (or you) killed. This is one of the worst kinds of preppers; not only do they eat your survival food, mooch off your preps and sleep in your bug out shelter, but they’ll also betray you at the first chance they get if they think it’ll be advantageous to them. 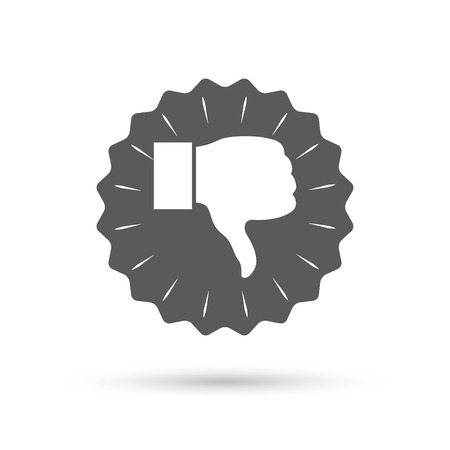 Make sure you personally know and trust each person in your bug out group, and be wary of any newcomers that ask to join. This prepper loves to exaggerate about how much survival food they’ve got on-hand and how many survival tools they’ve got at the ready. However, you’ll find out later this prepper talks the talk, but he/she doesn’t walk the walk. Everything these preppers tell you is just a ruse to make you THINK they’re prepared; but when push comes to shove (literally), they’ll take your preps by force if they see an opportunity. Once again, make sure you know and trust each person in your group. You can’t afford to have any “frenemies” around you after SHTF. Nobody likes this guy/gal, especially in groups. They initially come off as a leader, but inevitably just want to gain power and authority over the rest of the party. As such, they’ll be the one bossing YOU around, and telling you what to do, where to go, where to set up the shelter, and so forth. They’re also keen on doing everything themselves, and therefore won’t be willing to communicate with the group or hear anyone else’s ideas. Now don’t get me wrong – it’s important to have a leader in a group. But this leader had better listen to other people’s ideas about where to go or what to do; otherwise, they’re going to have a mutiny on their hands. This prepper is the furthest thing from prepared. Rather than spending their time stocking up on supplies, food and water they’ve spent all their budget on frivolities. They also don’t even like prepping that much, or even believe that an emergency is going to occur. However, these are sometimes hard to spot, as they’ll insist they’re prepped and ready for TEOTWAWKI. But they’re just telling you what you want to hear so you’ll get off their back. These preppers are dangers to themselves as well as the group; after all, if you fall for their lies and SHTF, guess who’ll be the one to steal your supplies and bring the group down? Be on your guard, and make sure you know the mindsets and motives of the preppers around you before you befriend them. This tactic alone could easily save your life. I can’t tell you how many times I’ve seen this – these preppers buy tons of survival tools and supplies (highly encouraged) and then never use it or try it out before SHTF (NOT encouraged). These preppers assume that because they’ve got lots of preps they’ll be effective in the field; however, they have no idea how to cook half the survival food they have, much less use any of the weapons or tactical survival gear they own. This guy/gal just can’t be trusted to hold their own in an emergency situation. As such, it’s crucial that you know the experience of those around you before you decide to do life with them. Ok, I don’t want to discriminate, necessarily – after all, we were ALL new to prepping at one time, right? However, as this new person is getting their bearings and stocking up, they’re likely to have a TON of questions, and will also make a lot of mistakes along the way (which is a liability in the field). If you insist on befriending this person and adding them to your group, make sure that they’re serious about prepping, and then pair them up with a patient and seasoned prepper that can show them the ropes. This guy/gal is one of the most annoying preppers – these are the ones that will hold up their can of Survival Cave canned meat and waterproof matches and INSIST to you that they are ready for anything life throws at them. And boy are these people going to get a rude awakening. Not only do these preppers feel equipped when they’re clearly not, but they’re also unlikely to listen or learn from experienced preppers. Again – make sure you know the people in your group well, and choose people that have been in the game for a long time. Otherwise, you could be in for a world of trouble. This is the prepper that will be hoarding their silver and gold until an emergency hits. They feel that cash will become useless, and therefore they should do everything they can to stock up now before SHTF. Now although this all may come true, these preppers often take it to an extreme, and insist that they don’t need to stock up on survival supplies or learn any valuable skills, as they can just barter with their silver and gold for everything they need. This is an extremely dangerous assumption, seeing as this person has minimal preps and little abilities to bring to the table. Plus, without their stash of silver and gold, they could be utterly useless in the field. When choosing preppers to befriend, make sure they’re well rounded in preps AND in skills before you decide to add them to your group. There are preppers out there that want you to pay for membership to their special “prepping group” – and believe me, this is the first sign of trouble. I mean, what are they doing that’s so important that it requires payment? And furthermore, what are they doing with all that cash? It may be tough finding some good, solid preppers to befriend when SHTF, but you should never have to pay for true friendship. This type of prepper takes leading and controlling to the extreme. They claim that they have the most updated information, the best survival skills, and the perfect plan/shelter for bugging out when the big one hits. Now whether this guy/gal is full of bologna or not, they will expect you to follow them to the ends of the earth and not ask questions. As you can imagine, this can create tension and animosity within the group. When picking preppers to befriend, make sure to choose those that have their own ideas, but can also contribute collaboratively with the group in order to make a plan that suits everyone. This prepper has it all figured out when it comes to being self-sufficient at home. He/she lives off their own land, has an ample survival food/emergency water supply, and has a flourishing survival garden. However, despite their excellent homesteading skills, these preppers are lacking in other survival skills that can be used in the outside world. 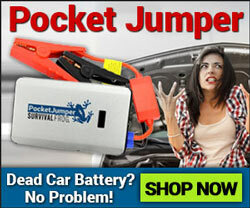 This could be a major weakness if you have to bug out in an emergency. Again, well-rounded preppers are often the best to befriend, as they can often contribute some sort of skill no matter what the situation is. This guy/gal loves to brag about the huge amount of survival food they’ve got, the gallons of emergency water they’ve stored, and the endless guns and tactical survival gear they’ve prepared with for a major emergency. Now this all might be true, but think about it – when SHTF, everyone that isn’t prepared is gonna go straight to this guy/gal in order to get free handouts. And if you’re associated with him/her, they’ll likely come for you next. Befriend people that have stocked up – but who can also keep their mouth shut about it. These are the people that just think it’s good sense to store extra batteries and flashlights in case of a power outage, and have a fully stocked first-aid kit at all times “just in case.” As such, these people are already prepared for most minor emergencies. However, these people often don’t believe in prepping (at least not the way most of us do), and don’t believe a major emergency is going to be upon us. Therefore, these preppers aren’t fully equipped for a true SHTF situation; although their preps – are valuable, they likely won’t keep these people alive for very long in an emergency. And, because of their disbelief, they’re unlikely to change this fact. Make sure to know that the beliefs about prepping and upcoming disasters are shared amongst your group in order to have the most success possible. However, this preppers has ulterior motives, like keeping their eyes peeled for what preps you have as they take a self-guided tour through your home. And if they find your preps, you can bet your house will be on their list of stops when SHTF. Make sure to have your preps hidden if you’re having company over, and make sure that you trust the people you invite into your home – otherwise you could be very sorry. The truth is, there’s a ton of factors to consider when choosing the right preppers to associate with. And oftentimes it feels really complicated and stressful trying to find people whose interests, skills and motivations line up with yours. 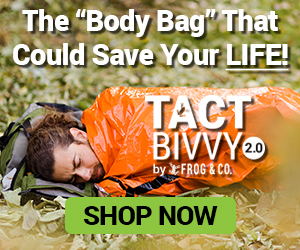 However, although this is a hassle, we here at Survival Frog believe that becoming prepared for survival should be uncomplicated and hassle-free. And when you join our VIP Buyer’s Club, you’ll find that purchasing your favorite survival food and gear is actually one of the most stress-free experiences you’ll have all day! 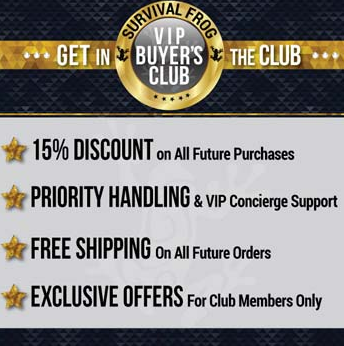 Survival Frog’s VIP Buyer’s Club isn’t your typical membership club – it’s a highly-regarded VIP experience. Priority Handling – when you make an order, we’ll ship and process it before any of our other non-VIP orders! 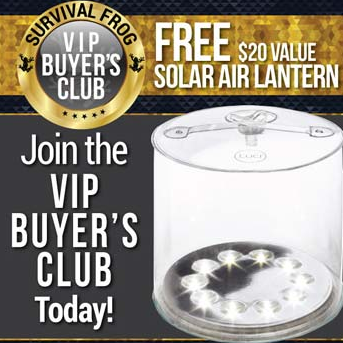 That’s not all – for a limited time, when you join our VIP Buyer’s Club you’ll also receive a FREE Solar Air Lantern! This solar lantern is one of our best-selling pieces of survival gear! It’s super compact (only 1″ tall when deflated), is charged by the sun (no extra batteries needed! ), and is both waterproof AND shatterproof. 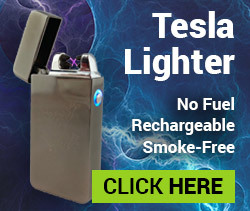 It’ll even light up your campsite, bug out shelter or backyard patio for a full 12 hours off of one single charge! Our customers absolutely love this solar air lantern – even though they had to pay $20 for it. SO just imagine how much you’ll love it when you can get it for FREE! Finding prepper friends to do life with is tough; but preparing for survival should be as easy as pie. And, when you become a member of our VIP Buyer’s Club, you’ll be able to prepare quickly, easily and hassle-free. Join our VIP Buyer’s Club today by clicking here or on the images below, and start being treated as our #1 priority! After all, you deserve it. This entry was posted in Emergency Preparedness, Prepping, SHTF, Videos and tagged survival on October 21, 2016 by Survival Frog.